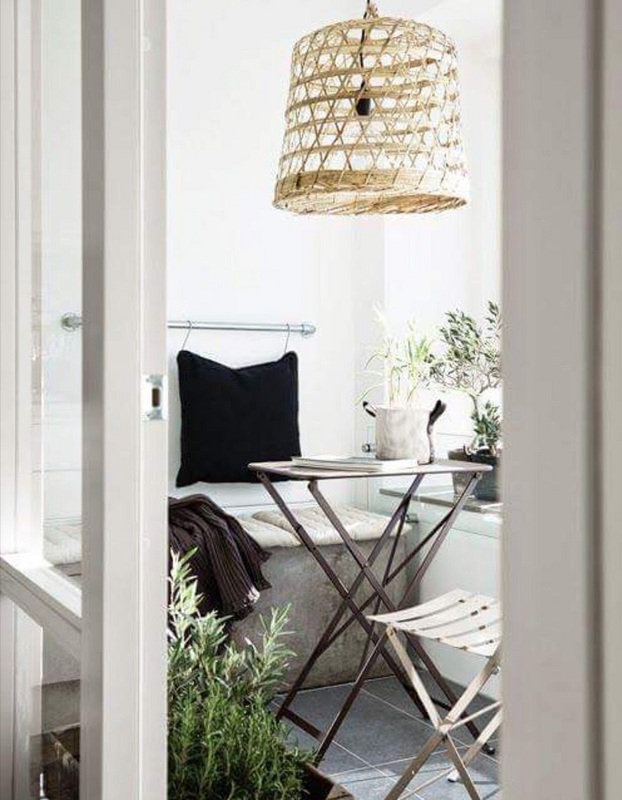 As more Kiwis are choosing apartment living or downsizing to smaller spaces, a balcony or courtyard is increasingly becoming the only space they have linked to the outdoors. Usually these aren’t large areas and without care they can easily becoming a dumping ground for that ageing mountain bike and laundry drying racks. But a small outdoor space shouldn’t stop you from creating a useful, welcoming area with furniture that fits, looks stylish and meets all your outdoor living needs. Follow these tips for selecting the best items for decorating your balcony or courtyard to ensure every inch of space is well utilised. NOTE: Before you start planning or purchasing, check the structural loading capacity of your balcony. The key to maximising use of your space is first planning how you are going to use it. Alfresco potted garden, relaxing reading nook, entertaining space, sun lounger area or outdoor dining? Choose its main purpose and focus on that – better to do one thing well than three things poorly. Scale is a great tool to play with in smaller spaces. 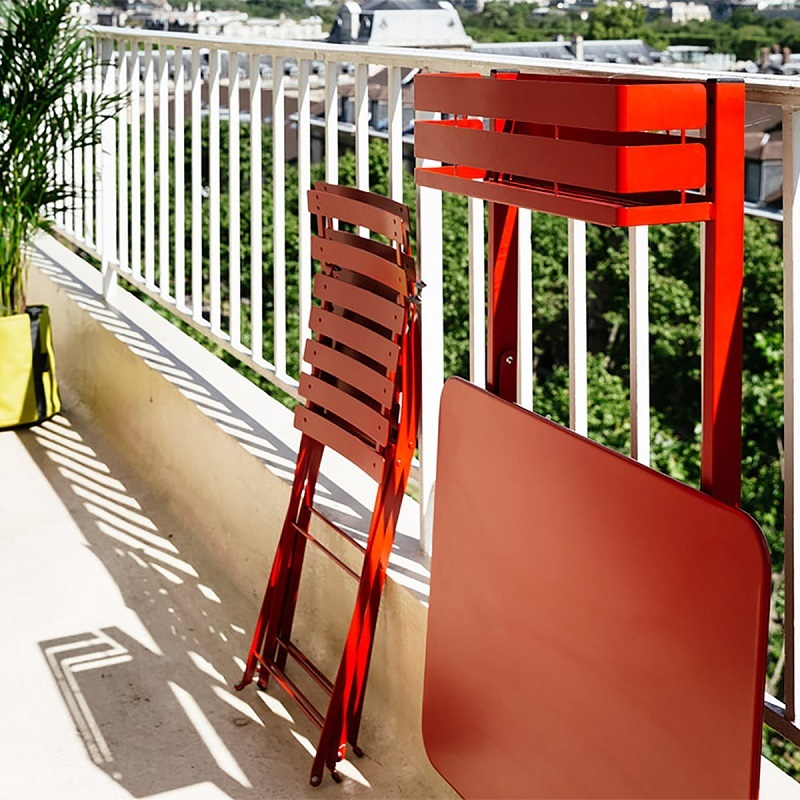 Filling a balcony with lots of small items of furniture can seem like a solution, but it is often counterproductive, making the space feel messy and cramped. Whereas a large dining table that seats eight can appear luxurious in a small space, but impossible to use. Remember to leave ample space around furniture so that passage areas are free and uncluttered. Big items can enclose the space and block the view. So, opting for see-through materials like glass or slats can reduce that cramped feeling and let the light shine through. Remember you’ll still want a view from inside your apartment as well! A big part of making the most of the space is choosing the right furniture. Keep it slim-line and lightweight, easy to fold, move and stack. Often modern apartment buildings have very small lift sizes and very limited access, so if access is tight, these lighter, smaller items are the solution. Using benches instead of chairs is a great way to squeeze extra diners in, and as an added bonus they tuck away under a table leaving more space to move around when not in use. 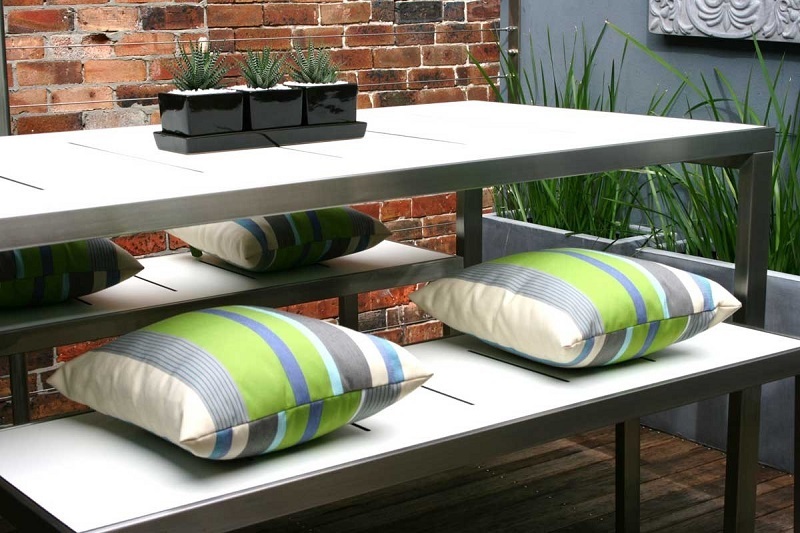 Plus some benches can double as storage boxes to tuck away the cushions and blankets to keep them out of the weather. Consider the location of your balcony and the weather conditions it will be exposed to before making a choice on materials. New Zealand’s UV rays and Auckland’s humidity can be tough on timber but if you clean, oil or stain it regularly you’ll get many years of life from it. If you live in a coastal area that is exposed to harsh wind and salty air opt for aluminium with a great quality powder coating or marine grade stainless steel. Our clean air is an advantage but the harsh sun can still cause problems – ensure your furniture has a quality protective UV coating or it will fade fast. 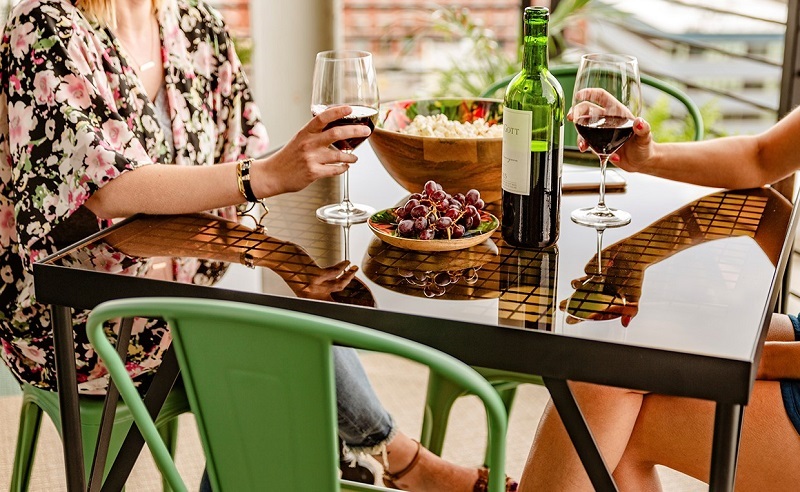 Check the inside and underside of your outdoor furniture – it might look durable on the surface but those rusting insides will leave stains on your balcony! Unlike other dwellings where the outdoor space may be detached, it is important to carry through the style of your interior décor onto a balcony. Even better if you furnish your outdoor space with indoor-capable items, you can move them around when the seasons change, your needs evolve, or space is rearranged. 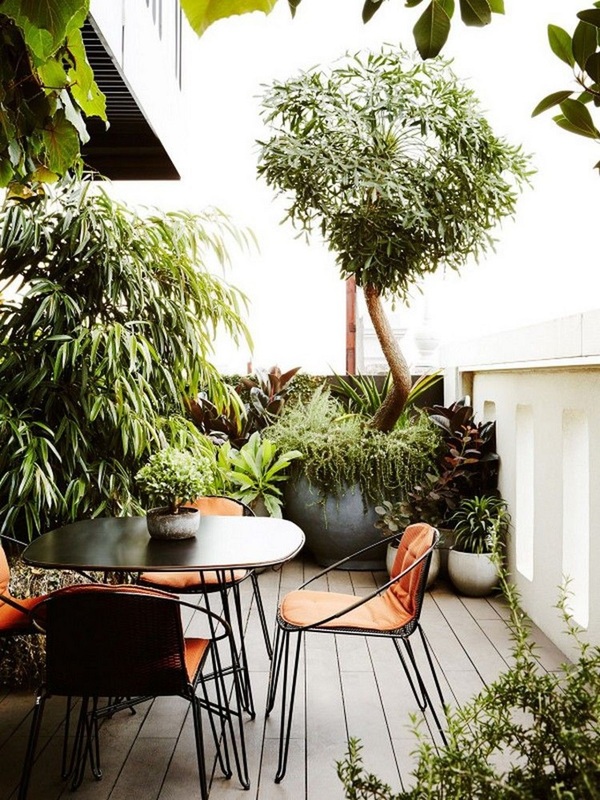 However small, part of the benefit of having a balcony or small courtyard is embracing the outdoors – and what better way to do so than with plants? They can offer privacy, texture and scent. Potted plants need lots of water and are more susceptible to weather extremes, so choose sturdy grasses, succulents and palms in tall pots that allow roots to expand. Trailing plants can be trained to grow on balcony bars or against a wall that needs camouflage. Finally you can get to the fun part of accessorising your outdoor space with a choice of weather and mould-resistant accessories! Add an outdoor rug or panels of easily laid wooden decking: cushions, screens, a pouf or beanbag. 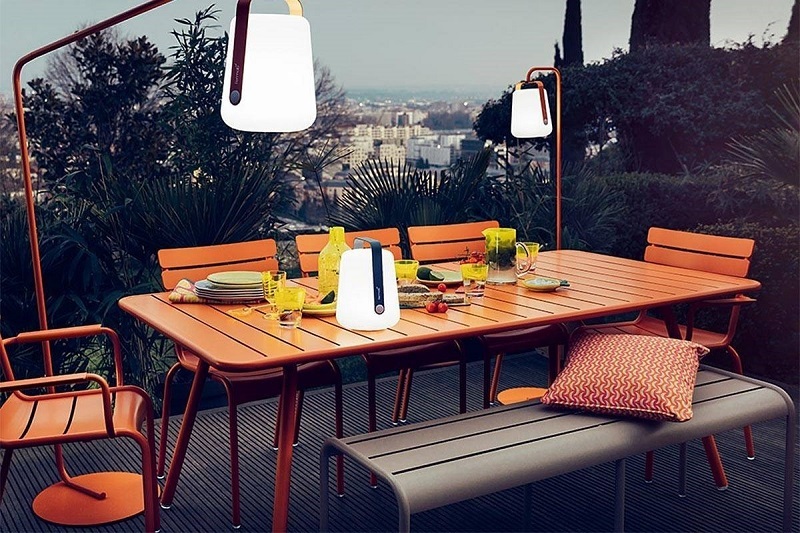 Portable or solar powered lighting for ambience. Then just add wine and cheese for a great evening outdoors. 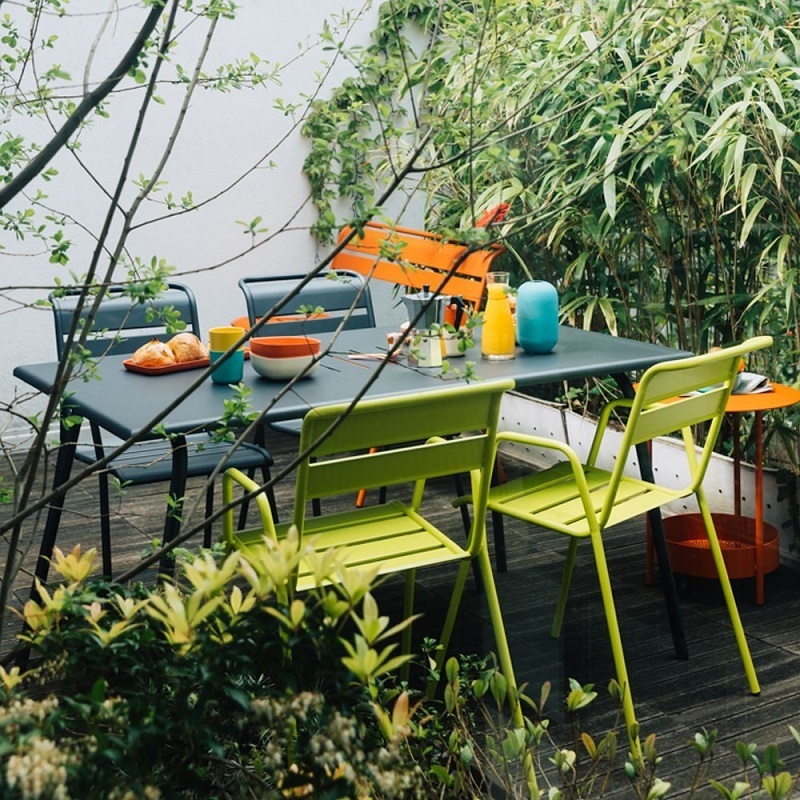 All these tips have the capacity to completely transform your outside space from an extension of your laundry to a functional part of your home. So bring those racks in and get outside! For more outdoor ideas, products and inspiration – or for any renovating project you have coming up, make sure you visit the Auckland Home Show, 5 – 9 September 2018 at ASB Showgrounds, Greenlane, to get free expert advice and design guidance from more than 500 leading industry experts and suppliers. See www.aucklandhomeshow.co.nz for more info!